Since their founding in 1992 at the University of Brasília, the collective Corpos Informáticos has conducted artistic research into the relationship between the body and communication networks. 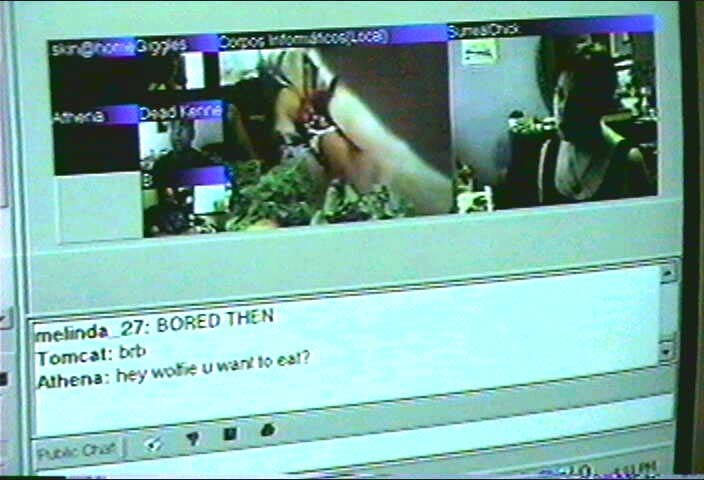 In the late 1990s, Corpos began to stage staunchly lo-fi telepresence experiments using existing webcam networks like CU-SeeMe and iVisit. Without prior announcement or any kind of script, they would convene day-long discussions and online banquets that linked online participants with gatherings in Brasília and other cities. These experiments supported a sophisticated theorization of telepresence and the networked body, as seen in texts by founding member Bia Medeiros. Medeiros argued that the network offered its users not an escape from reality, but a new possibility of meeting and communicating with others. For Corpos Informáticos, these encounters did not extend or expand the body itself as much as the consciousness of participants—in particular, encouraging the dissolving of boundaries among self, other, and environment. Taking place without a script or even prior announcement, the telepresence experiments of Corpos Informáticos were open-ended and dynamic dialogical works that took up these ideas. Ephemeral in nature, scant documentation exists of these performances, and so Net Art Anthology presents a related work: a Flash-based artwork compiling hundreds of images of remote participants, glimpsed across the network via low-resolution webcam. The concept of telepresence has been defined by Brazilian artist Eduardo Kac as “the union of telematics and remote physical action.” Kac’s influentiual works of telepresence in the 1990s placed great emphasis on the new potential for humans to perceive and act across distance, with the help of the network. Corpos Informáticos took up a different, though overlapping, vein of telepresence research. They argued that the internet purports to enable communication while only allowing for the transfer of information. The only way to use the internet to communicate, according to Corpos, was through telepresence. Their telepresence works therefore focused on facilitating communication and shared experiences. Image from Hungry@Corpos, courtesy of Bia Medeiros. Corpos Informáticos also stand out for their centering of the physical, quotidian, organic body, rather than the novelty of the cyborg body. They contested the linear view of history implicit in the term “posthuman” and of the phrase “new technology,” arguing that computer networks were leading to a expansion of consciousness–not a literal transformation of the flesh. 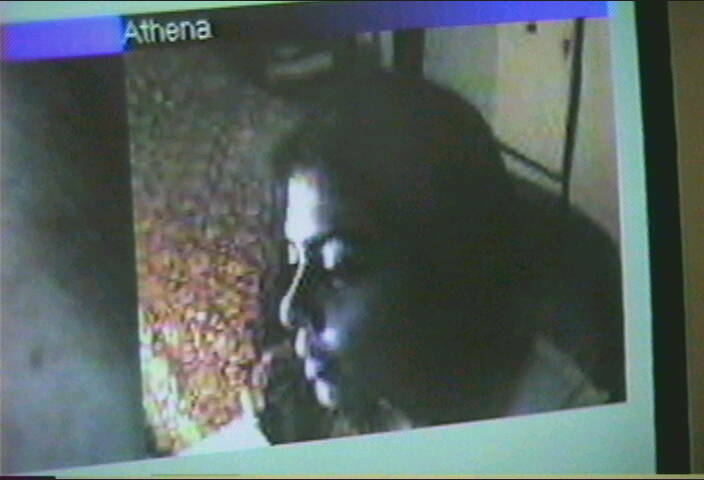 Image from telepresence performance by Corpos Informáticos, courtesy of Bia Medeiros. 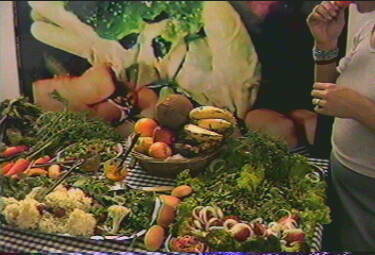 Hungry@Corpos, one of the group’s earliest telepresence experiments (possibly held as early as 1997), took the form of a virtual banquet. Participants in the group held a feast in two rooms at the University of Brasília, broadcasting themselves on the CU-SeeMe network to whoever happened to be online. This open-ended experiment in sharing a sensory experience through the network came to an abrupt end; one participant began to lick a chutney-covered carrot, and the webcast was terminated. The group believed that it was a CU-SeeMe moderator who deemed their content offensive. 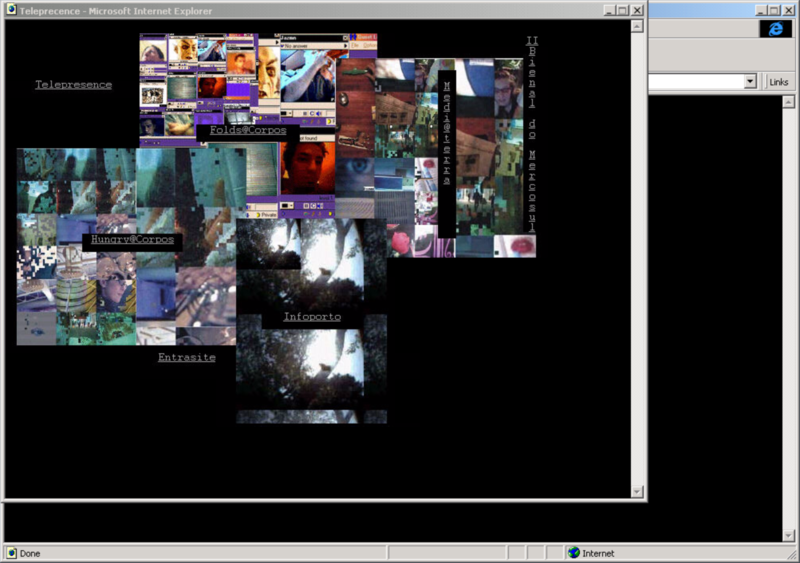 Screenshot of www.corpos.org/telepresence in Internet Explorer 4 for Windows. 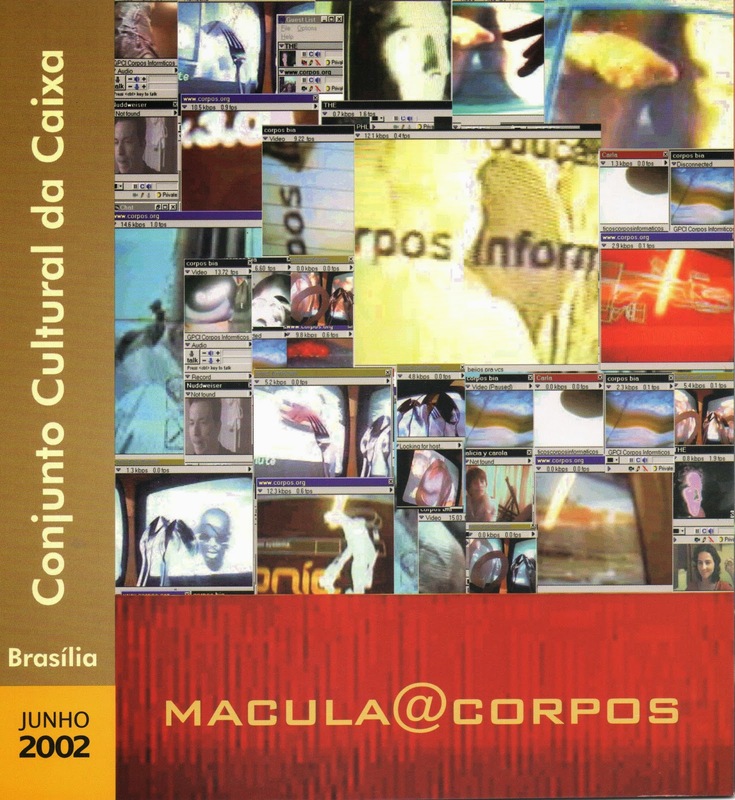 Corpos Informáticos staged a series of public telepresence projects at venues including the Medi@terra festival in Greece (2000), Galeria de Caixa in Brazil (1997, 1998, and 2002), and the Mercosul Biennial (1999). These open-ended projects would bring gallery-goers into dialogue with online participants, and were often accompanied presentations of work by the group in other media, such as video screenings and photography exhibitions. 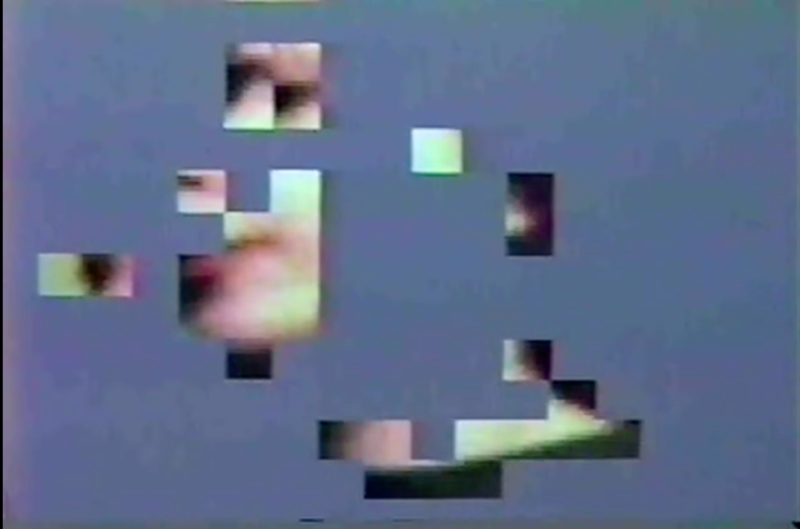 Images from early Corpos Informáticos telepresence performances, courtesy of Bia Medeiros. This contrasted with the conclusion drawn by US telepresence pioneers Kit Galloway and Sherrie Rabinowitz, whose 1980s project Hole in Space linked participants in LA and New York by satellite feed over large screens, leading to a boisterous urban encounter. Based on this project, Galloway and Rabinowitz argued that “size and bandwidth matter in communicating presence and emotion.” Corpos Informáticos, who used freely available networks and consumer-grade technology, argued for something like the opposite. 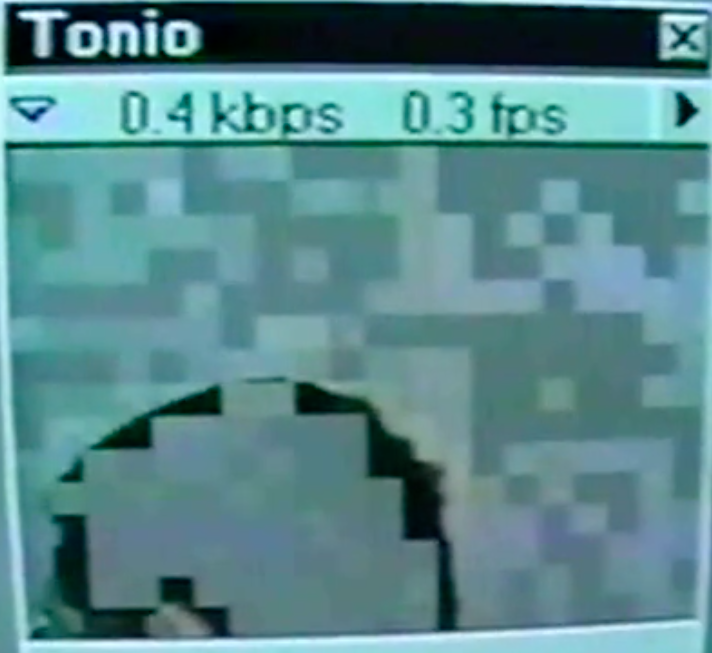 Image from an early Corpos Informáticos telepresence performance, courtesy of Bia Medeiros. While the performances themselves were open-ended and ephemeral, Corpos Informáticos participant Carla Rocha made several more lasting works for the web as a way of conveying the group’s ethic and philosophy. 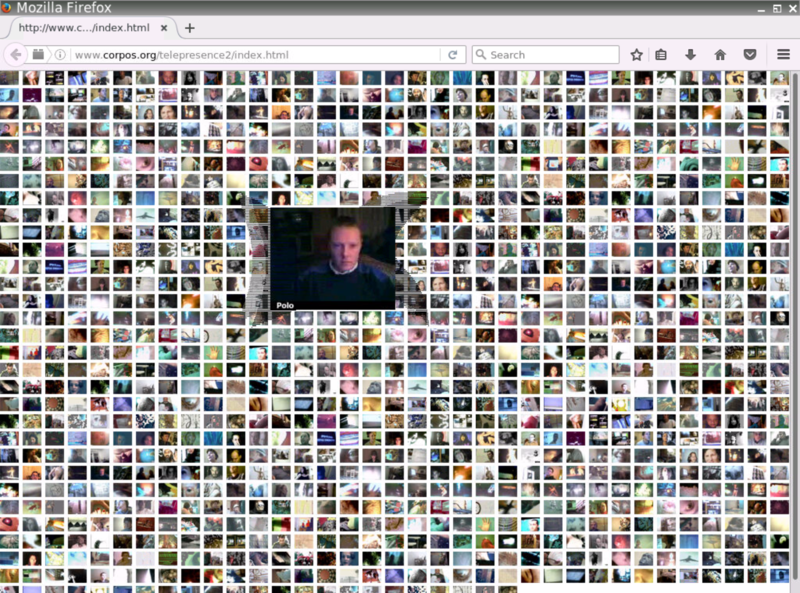 One of these, Telepresence2, shows a massive grid of images of participants in various telepresence experiments from 1999-2003. The group would sometimes use these images to stand in for online participants when connectivity issues came up during performances. 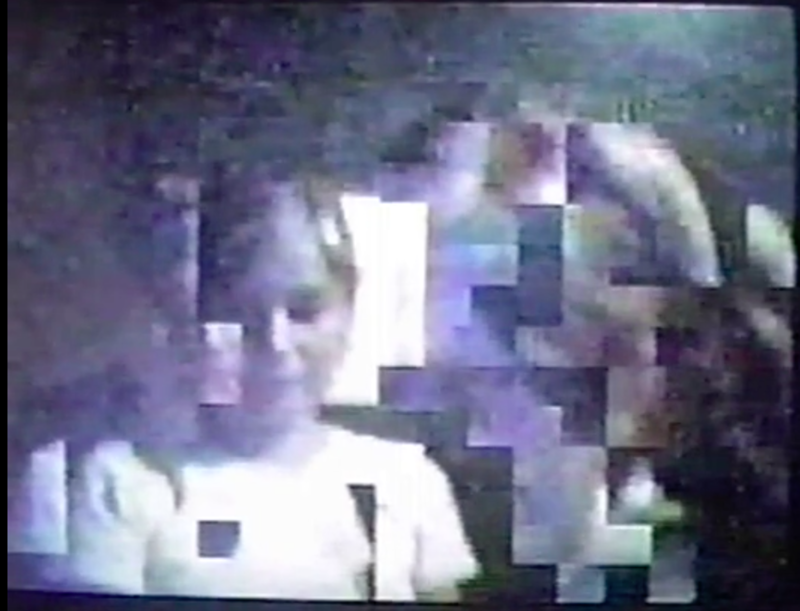 The images are grainy, blurred, poorly lit, depicting bodies of all kinds occupying their own detached space in front of a webcam somewhere in the world. Clicking on an image enlarges it, but the depiction of any autonomous individual is of secondary importance to the larger collective composition. 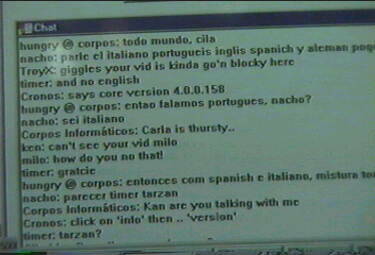 Screenshot of Carla Rocha/Corpos Informáticos, Telepresence2, c. 2002, as viewed in Firefox 49. The CORPOS INFORMÁTICOS Research Group has been conducting research on contemporary art and new technologies since 1992. The Group’s work involves performances, photographs, videos, video installations, performances in telepresence (video-conference), and web art. Past and current participants include Maria Beatriz de Medeiros (Bia Medeiros), Carla Rocha, Maria Luiza Fragoso, Andre Silva, Cila MacDowell, and Robiara Becker. Currently, Corpos Informáticos organizes the ongoing residency program and website performancecorpopolitica.net. An earlier version of this page listed the artwork title as "Telepresence," referring to the body of work as a whole.